This website is the property of PSR Group B.V. (PSR), a Dutch company registered at the Chamber of Commerce on number 34161008. 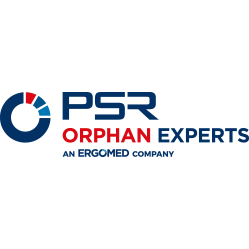 PSR’s trademarks, trade names and logos belong to PSR. All other trademarks, trade names, logos or service marks mentioned on this site belong to their respective owners. The information on this website may only be used for personal or non-commercial and informational purposes, provided that: (1) no part of this website may be distributed or sold for commercial gain; (2) no part of this website may be modified in any way or incorporated in any other material, whether in hard-copy or in electronic format; and (3) the copyright notice (‘from PSR website’) must appear on every copy or portion thereof that you make or distribute. PSR is providing this site and its contents on an “as-is” basis, without representations or warranties of any kind, whether express or implied, as to the merchantability, fitness, accuracy or completeness of this site and its contents for a particular purpose, including warranties with respect to infringement of any patent, copyright or other rights of third parties. In no event PSR shall be liable to any party for any damages or injury of any kind arising out or in connection with the use of this site or its contents. This site may contain links or references from or to other sites controlled by parties other than PSR. PSR is not responsible for the content of such other sites and in no event PSR shall be liable to any party for any damages or injury of any kind arising out of or in connection with the use of such other sites. PSR controls this site from its office in Hoofddorp, The Netherlands. By accessing this website you agree that the laws of The Netherlands shall apply to all matters arising from or relating to the use and content of this website. You also agree to submit to the exclusive jurisdiction of the competent courts of The Netherlands with respect to such matters.